Next came the C66, which had its origins in a 2013 Basel Committee paper: “Basel III: The Liquidity Coverage Ratio and liquidity risk monitoring tools”. That paper provided detail on certain ‘Additional Liquidity Monitoring Metrics’ including the contractual maturity mismatch. In the European context the EBA’s response resulted in a series of new COREP ALMM returns including, after some delay, the ALMM C66 (Maturity Ladder) which was eventually introduced earlier this year. Bringing in a variety of new requirements, the C66 took liquidity reporting to a new level of complexity. This level of complexity makes automation of this particular new return look essential and a solution combining liquidity and regulatory reporting increasingly attractive. At ALMIS International we have many years experience in supporting clients’ compliance with increasingly complex prudential regulatory reporting requirements. Our futureproof assurance means clients will always enjoy the benefit of autopopulated solutions for their prudential reporting requirements. 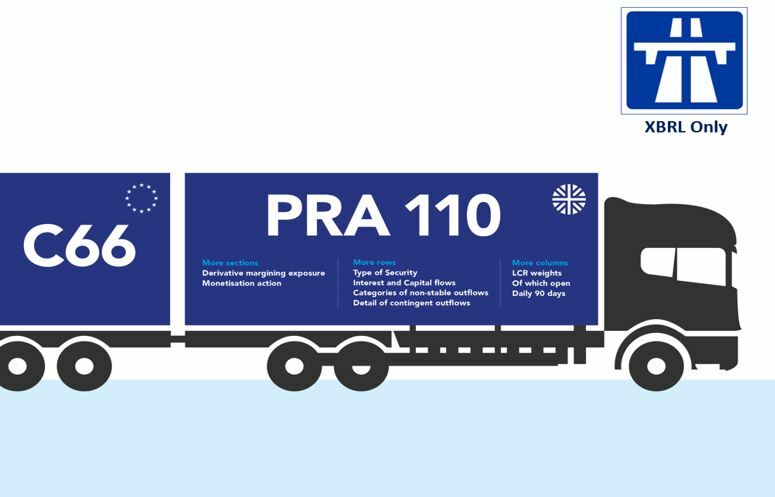 So as before with the FSA 047/048 and then the C66, we will be delivering an autopopulated solution to the PRA 110. Work is already well underway to provide this solution, initially to those clients who will be submitting from November on the interim basis.